In a Windows 10 preview update issued this week, Microsoft mandated that the feedback functionality built into the beta be switched on, a change from earlier when testers could block questions from the company about what users thought of specific features. "Getting feedback is an integral part of the Windows Insider Program," wrote Gabriel Aul, engineering general manager for Microsoft's operating systems group, in a Wednesday post to a company blog. "The answers to these questions [are] used by our engineering teams to understand how Windows Insiders feel about a particular experience or a particular build. Starting with Build 14271 and newer, the frequency in which Windows will ask for your feedback will be locked to 'Automatically (Recommended)' in the Settings app and managed by the Windows Insider Program." Microsoft released Windows 10 build 14271, the latest in the Insider preview program, on Wednesday. Previously, users could dig through the Setting app in Windows 10 and reduce the frequency of questions or turn them off entirely. The questions pop up near the bottom of the screen. Tapping or clicking on the pop-up notification launches Windows 10's Feedback app, which typically asks the user to rate a just-completed action or called-on feature. Users are not required to respond to the feedback pop-ups; they can be ignored without consequence. 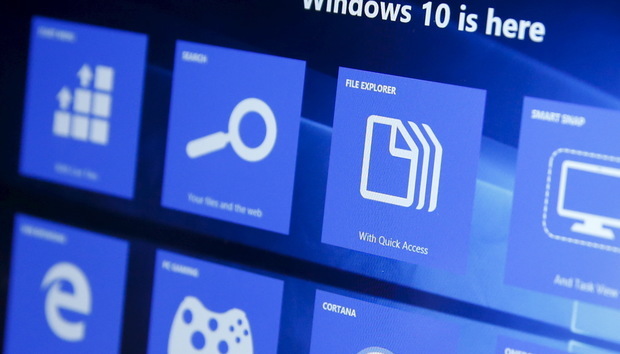 The move was reminiscent of Microsoft locking Windows 10 preview builds on the "Full" setting, which provides the company with the most expansive amount of data from a PC. While Aul did not offer a more specific reason for the move than that feedback was important, Microsoft may have taken control of the setting because it didn't believe enough testers were contributing to the beta program. Asking for feedback in return for running pre-release software is traditional in the software business, but Microsoft's move here is a step further than most developers take. If users object to the change, Aul suggested that they abandon the Insider program and revert to the latest production build, which was released to the Current Branch in November as "1511." Microsoft added the Feedback app and its mechanism to non-previews of Windows 10 in August 2015, but those users are able to reduce the frequency of questions to once a day, once a week, or never. The Insider program has taken control of Windows 10 previews' feedback setting, a move that may have been triggered by testers not providing enough information to Microsoft engineers.